On Friday after a week of rain and no morning beach walks, we saw a piece of boardwalk sitting on the sand. We had last seen this being used as a boat ramp where the sand had been washed away from under the concrete ramp. 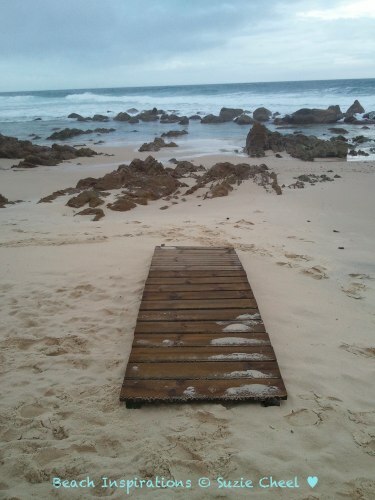 The piece of boardwalk had been moved or carried 100 metres or more my the tides. Maybe it got bored and walked away.